In most civil cases, either party may request a jury trial or a bench trial that leaves the verdict in the hands of the judge. In the event of a jury trial, the selection of jury members can play a major role in the outcome of the case. Trial lawyers on both sides of the aisle look for a variety of attributes in potential jurors based on the details of each case. But even the most carefully chosen strategies can cause unexpected results. While it may seem like placing a state senator on a jury would help guide its members toward a fair verdict, it appears jurors with too much knowledge may be just as problematic as those with too little knowledge. 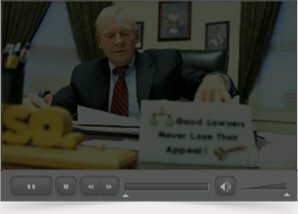 In March 2010, NJ.Com reported such a case. After a plaintiff in a New Jersey slip and fall accident trial won a jury award for nearly $900,000, the state senator who served as foreman wrote a law journal article stating that other jurors turned to him for guidance. Since they needed his help to understand concepts and procedures related to the law, he believed his opinions swayed other jurors. Shortly after the publication of that article, the defendant appealed the case. The appellate court reversed the jury award and granted a new trial because the senator unduly influenced the verdict. Any juror selection strategy can have a profound, often-unexpected effect on the outcome of the trial, which makes it so important for plaintiffs to select a personal injury attorney with extensive trial experience.